Review "Transition from Transcendent to Anthropomorphic Deities"
Anthropomorphism Encyclopaedia Britannica describes anthropomophism as 'the interpretation of nonhuman things or events in terms of human characteristics'. "People in all cultures have attributed human characteristics to deities, often including jealousy, pride, and love. Even deities with an animal form, or with no physical form at all, are thought to understand prayer and other symbolic communication." The article goes on to talk about why we humans do this. Read the article. "People in all cultures have attributed human characteristics to deities, often including jealousy, pride, and love. Even deities with an animal form, or with no physical form at all, are thought to understand prayer and other symbolic communication. The earliest known commentator on anthropomorphism, the Greek poet and religious thinker Xenophanes (c. 560–c. 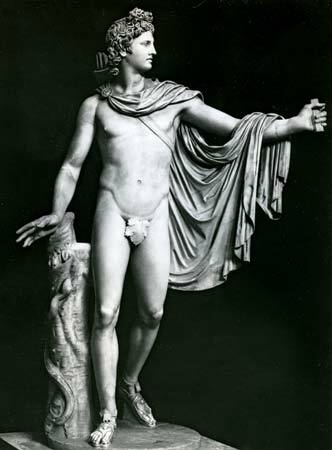 478 bce), criticized the tendency to conceive of the gods in human terms, and later theologians have sought to reduce anthropomorphism in religion. Most contemporary theologians, however, concede that anthropomorphism cannot be eliminated without eliminating religion itself, because objects of religious devotion must have features to which humans can relate. For example, language, widely considered a human characteristic, must also be present in deities if humans are to pray to them." Anthropomorphism by Stewart E. Guthrie (Encyclopaedia Britannica).